Much of the material here appears also in the book and eBook. These webpages actually offer more info than was published. The artfully designed book provides good organization with matching photos complementing the text, features lacking from my website here. 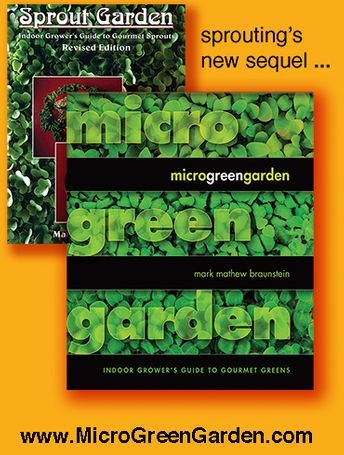 In contrast, these webpages about how to grow microgreens at home retain my original unedited "raw" manuscript's personality, all which were expunged for the sake of a shorter, more affordable book. All those deleted paragraphs and pages here cost next to nothing to produce, so they cost you absolutely nothing to read. You are welcomed to read, download, printout, or trample upon everything here, but not to disseminate any of it yourself. The book and eBook are published for that purpose, so you are invited to BUY those. 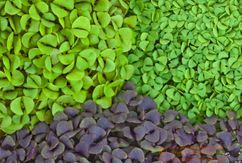 This website about Container Gardening will get you started, but the second half of the book not posted here will keep you going. 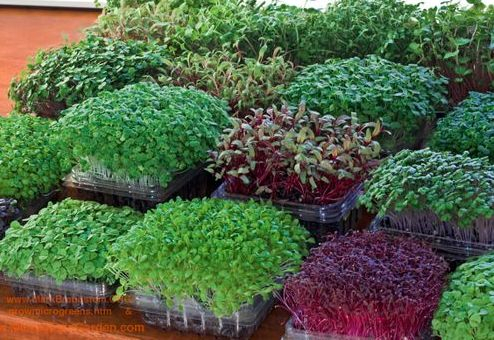 That second half instructs further about Tray Gardening and, even better, provides specific instructions about how to cultivate each of 55 species of microgreens, including 8 pages just to growing Sunflower Greens. So when you are ready for the second half of the book, please purchase the book or eBook. You thereby will enhance your gardening skills, and support the efforts of the overworked but understaffed publisher and this underpaid but overfed author. I am happy if you don't, and even happier if you do. THANK YOU! Half of my photos here on this website were published in the book, but HERE the published photos (along with the unpublished photos) appear much larger.